Over the last three decades, the IT industry in India has seen significant growth. It accounted for 8% of the total GDP (Gross Domestic Product) of the country in 2012-2013 and jumped up to 9.5% in 2014-2015. This growth has made IT the fifth largest industry in India. Overall, the IT industry in India employed around 4 million people in 2017, up 170k from the previous year. Much of the employment is concentrated at the large firms. For example, Tata Consultancy Services (TCS) employs over 275k people, and Infosys employs 156k. Despite the recent growth of the IT industry in India, there are signs the growth is slowing. According to the National Association of Software and Services Companies (NASSCOM), the IT sector in India only grew by 5% in 2018. Furthermore, hiring rates have decreased by around 40% in the last three years. This slow down is being felt by even the leading IT companies, who are starting to lay off employees. For instance, Wipro has dropped 600 employees, Cognizant has cut at least 6,000 jobs, Tata Teleservices fired 500-600 employees, and Aircel handed pink slips to more than 700 employees. The H1-B visa is a program that allows companies based in the US to temporarily employ highly skilled professions from other countries. This year, the Trump administration changed the policy of issuing H1-B visas. Unfortunately, the new procedure makes it difficult for companies to prove that the H1-B worker comes with specific and non-speculative qualifying assignments in a certain occupation. According to the USCIS (US Citizenship and Immigration Services), nearly 75% of H1-B visa holders are Indian citizens. The new H1-B policy is negatively impacting the IT industry in India and people looking to find jobs in the US. There are several small and medium enterprises in India that rely on the US market and H1-B visa. Also, the new policy states that the minimum salary of an H1-B visa holder should be a minimum of $130,000. Given this high salary, understandably, a lot of companies in the US now opt to hire Americans. The IT Industry in India draws most of its clients from Western countries like the US, the UK, Spain, and Canada. In the last few years, these Western countries have faced slowing economic growth, which has hurt the growth of the IT industry in India. To add oil to the fire, there has always been a biasing relationship between the dollar and the rupee. The increasing value of the dollar against the rupee has further strained the industry. The new data protection and privacy rules enforced by other countries are preventing Indian companies to serve in those countries. For example, the European Union’s GDPR (General Data Protection Regulation) law that became effective in May 2018. GDPR is applicable to all the companies that operate in the EU or have their customers in the region – any company that deals with the personal data of European customers need to comply with GDPR rules. Since not all the IT companies in India can comply with GDPR and other data protection rules, many had to stop serving EU customers. As mentioned above, most of the clients of the Indian IT industry are from Western countries, and many clients are choosing development options closer to home. 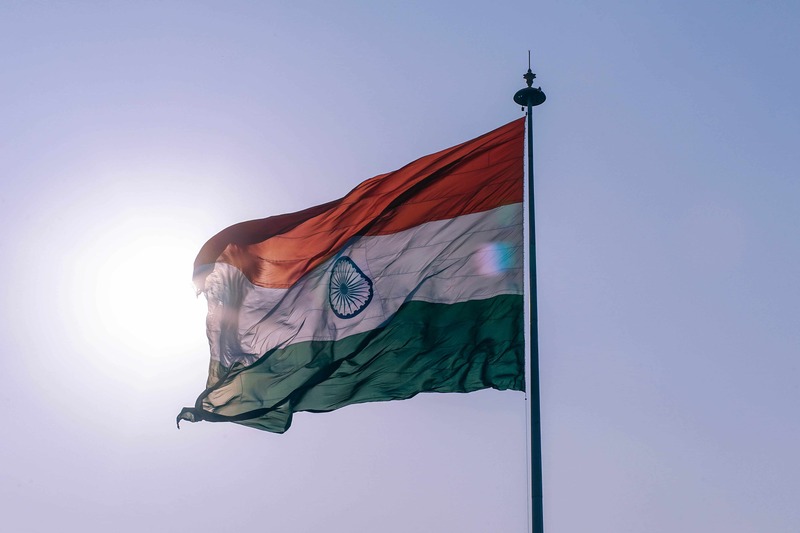 GDPR is preventing some India tech companies from working with European clients. Today, traditional business models have become outdated. It is the era of digital transformation, where companies around the world are embracing modern technologies like cloud computing, artificial intelligence (AI), the Internet of Things (IoT), and blockchain. These technologies help them reduce costs, accelerate time to market, save time and increase employee productivity. However, Indian organizations are slow in adopting these technologies. They are still stuck with the traditional models. This is because of the lack of skilled employees, conventional infrastructure, as well as restrictive regulations. In India, more than 400,000 students graduate every year. Yet, only 20% of them get employment. This is because the universities and colleges are focused on providing degrees rather than enhancing student skills. This has created a gap between the supply and demand. IT companies are not finding the right talent that can go along their digital transformation journey. Further, this study suggests that Indian IT companies will have to cut jobs because they are not adopting modern technologies. Furthermore, a report from McKinsey and Company reveals that 50% of the workforce in the IT industry could be irrelevant over the next few years. India’s IT giant, TCS was slammed by a penalty of $420 million by the US court in April 2016. The US-based company Epic Systems had accused TCS of stealing trade secrets, confidential information and data that belonged to Epic. Infosys paid a penalty of $1 million for violating the visa and immigration rules in the US. The company was accused of employing foreign workers in New York without paying taxes and wages. TCS and Infosys are the pillars of the IT industry in India. Such incidents negatively impact the image of the Indian IT industry in the global market. These are the major challenges faced by the IT industry in India. These challenges have become barriers to the growth of leading IT companies in the country and jobs are being lost. But these challenges can be overcome! Not much can be done about policy changes in the US and Europe, but much can be done. First, IT companies need to embrace digital technologies to keep up with competition around the globe. Second, universities need to teach students hard skills. Third, IT giants need to set an example and improve India’s reputation in the global market. Unless we start working on these important challenges immediately, the IT industry in India will fall behind up and coming competitors in the global IT market. Nilesh is a marketing manager at Techuz, He loves to write about the remote work, a trend in technology and impact on the various industry. He believes business is more than a transaction, its value we provide to each other.